It’s best to send a test SMS to yourself before sending a mass SMS to your congregation. To do this, once you’ve set up your SMS integration (navigate to in Settings and click People), and bring up your profile. In the Actions pane, click to contact a person. A window will appear and then simply click the ‘Test SMS message’ link and follow the prompts to send the SMS. To make sure if the message has gone through, go to your profile and click the ‘Activity’ tab and check your phone to see if you have sent/received any SMS messages. 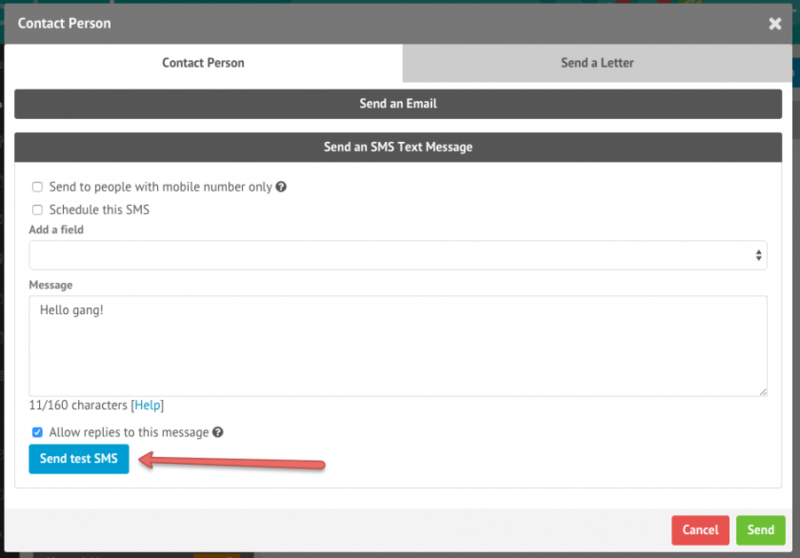 If you have set up integration with an SMS company, you can also check to see if any SMS has been sent through their system, and ensure that the text messages are being sent correctly.